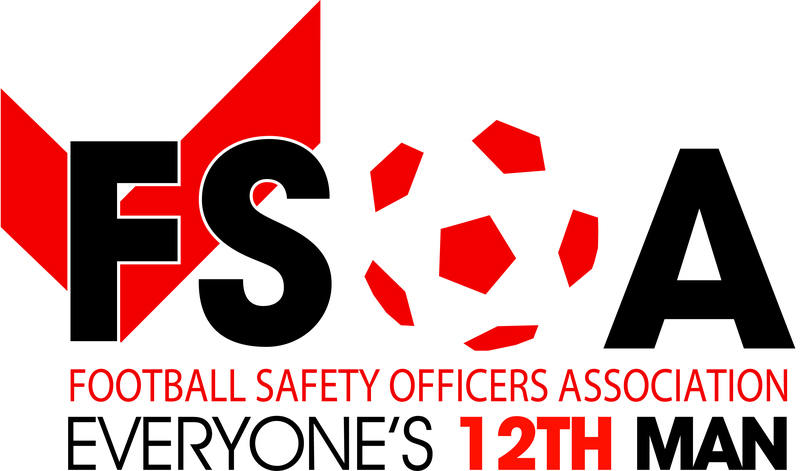 THE HISTORY OF THE FOOTBALL SAFETY OFFICERS ASSOCIATION (FSOA) OF ENGLAND AND WALES. BY JIM CHALMERS, FSOA HON’ LIFE PRESIDENT, AND DOCTOR STEVE FROSDICK, FSOA MEMBER – MARCH 2013. The Guide to Safety at Sports Grounds, (The Green Guide) – 5th Edition: 2008 – Chapter 1.4. This principle was established with the publication of the first Green Guide in 1973 and repeated in subsequent editions, including the most recent 5th edition. However the debate and controversy on crowd safety can be traced back to the 1924 Shortt Report into the near disaster which occurred at the opening of the original Wembley Stadium. Yet despite a long history of tragedies at UK football grounds, with numerous inquiries and reports all agreeing that the safety of spectators was the responsibility of the sports ground management, these were not enough to prevent the 1989 Hillsborough Stadium disaster when 96 football fans tragically died. Throughout the 1970s and 1980s football match days often resembled military operations. In terms of crowd management, the emphasis was firmly on public order. Huge numbers of police were employed on tactics which achieved control, but at the expense of safety and comfort. This repressive policing style was generally coupled with hard engineering measures such as the high fences still seen in many continental countries. One Club Chairman even suggested that electrifying the pitch perimeter fencing was the solution to football hooliganism. The grounds themselves were generally old, poorly maintained and with minimal facilities for the spectator. It could be argued that in those days the needs of safety and security were out of balance and that this was a fundamental reason for the Hillsborough disaster. In 1989 Jim Chalmers was a Police Chief Superintendent with West Midlands Police and one of his responsibilities was the policing of Villa Park, Birmingham the home of Aston Villa FC. He had first-hand experience of how the police were obliged to fill the void in managing spectators at football grounds due to the absence of Safety Officers and competent stewards. The 1989 Hillsborough disaster and the subsequent inquiry by Lord Justice Taylor have been widely recognized as the catalyst for major change in the British stadia industry. Much of the subsequent publicity concerning the standard of British stadia has focussed on the new and refurbished structures and the facilities provided within them but the actual fabric of the stadium is only half the story. Equally important is the safety culture within the Club and the quality of the safety management systems. Even the most modern ground could still be unsafe if the Club cannot properly manage the safety of its paying customers. The changes in stadium structures and facilities have been highly visible, but other less visible although equally important changes in safety management have also been taking place. One of the principal changes has been the creation of the FSOA and the benefits the Association has brought. These benefits have been not only to spectator safety, but also to customer care and the quality of customer service provided by those involved in crowd management. Football is part of a multi-million pound leisure industry and fans have far higher expectations of the levels of customer care and service they should enjoy during their match day experience. The FSOA has had a vital role to play in this changing face of spectator expectations, which is largely met by the Club stewards. The creation of the FSOA came about in the flurry of activities which followed Lord Justice Taylor’s report into the Hillsborough Stadium disaster. The police seriously examined their role in sports grounds and the football authorities were forced to face up to their responsibilities for ensuring the care, safety and well being of their customers. In particular they were forced to look at how their grounds were managed with one of the main concerns being the variance in safety management performances at football grounds in England and Wales. Safety systems and practices had been evolved locally but in a piecemeal fashion and with very little consistency or uniformity of purpose. Such inconsistency included the appointment of Safety Officers, which before Hillsborough was not an established post at the majority of Clubs. Even in the immediate post Hillsborough era there were many Clubs who felt that aging Club Secretaries, with little or no knowledge or experience of safety management, could discharge the role of a Safety Officer. Others deemed it to be a match day only position. This was unacceptable to the few capable and competent Safety Officers at the time and created the climate which helped bring about the FSOA. ‘Improving safety at football grounds by enhancing the role of safety management and the status of the Safety Officer within the football industry. The Association intends to achieve this by promulgating best safety management practices, enhancing the role of stewards and continually developing the expertise of Safety Officers’. From the original 28 members, the FSOA membership now stands at over 300. Membership is voluntary but almost all English and Welsh Premier, Championship and Football League Clubs are represented together with the national stadia of both countries. Membership also extends to Clubs in the lower football leagues. For more information on the various categories of membership and how to become a member please refer to the FSOA website. The success of the FSOA is well evidenced by other sporting bodies creating their own Safety Officers Associations in Scotland and Northern Ireland and in sports such as Rugby League, Rugby Union, English cricket and horse racing. All of these separate Associations have as their aims the same safety principles established by the FSOA. ‘That a Safety Officer should as a minimum have, or be working towards, a Level 4 spectator safety qualification on the relevant qualification framework’. Whilst the majority of our members now hold this qualification the diversity of skills within the Association is evidenced by other relevant qualifications attained, including degrees, diplomas and vocational qualifications in risk and security, fire safety, management and business studies as well as health and safety and environmental studies. It is now recognised that professional safety management can only be performed by professional safety practitioners with the relevant qualifications to support their levels of competencies. It is no longer acceptable for a Club to recruit as their Safety Officer a retired member of the emergency services thinking that they have the necessary training, qualifications and experience to discharge the demanding roles and responsibilities of a Safety Officer from the first day of their appointment. As a member of the Joint Football Authorities Safety Management Focus Group, the FSOA has been a major player in the evolution of stewards’ training and assessment, from the original 1996 Training Package for Stewarding at Football Grounds through to the 2010 version of the 1st4Sport National Vocational Qualification in Spectator Safety. FSOA members take the lead in ensuring that their stewards receive the necessary training and assessment and achieve the required qualifications. Our members are represented on various working groups related to all aspects of improving stadium facilities and safety management. Members have made important contributions to the development of various guidance documents, for example the (then) Football Licensing Authority 2009 publication on Safety Management and the Football Association’s 2010 guidance on Crowd Management. FSOA members are regular speakers at safety and security training courses and seminars both in the UK and abroad. Members were closely involved in stewards training for the 2010 World Cup in South Africa and the 2012 European Championships in Poland and Ukraine. The development and coordination of the Association’s activities is directed through the Chair of the FSOA supported by six regional chairs of the Association who comprise the Management Board (MB). For further details and profiles of the Hon. President. Chair and members of the MB and the regions they cover please refer to the FSOA website. Up until 2002 the senior roles in the FSOA were undertaken on a purely voluntary basis by some of its members but as the Association has grown so has the demands by its members and external bodies. Since 2002 therefore the Association has employed staff to assist in the development, management and t provision of administrative and technical support to the members. The support staff are currently based in Blackburn. For details of how to contact the Blackburn office please refer to the FSOA website. One of the main developments in the service to members was the establishment of the FSOA website in 2000. The facility enables members to exchange information and access all current documentation relevant to their role. The website also includes a facility for members to upload and download post match safety reports. Safety Officers can, therefore, exchange match day information such as attendances, methods of travel, visiting supporters’ numbers and behaviour, particular problems including any arrests or ejections and the reasons for these. This information allows members to plan their matches and the use of their resources more accurately and effectively without relying solely on police intelligence. The match day reporting system, like other FSOA services, is constantly evolving to take account of the needs of its members and demands of the football industry and the sports regulatory bodies. Another valuable function of the website is the interactive forum where members can seek advice or exchange information on any problems or issues they might face in their day to day safety management operations. There is an old saying that there is never any need to re-invent the wheel and the vast experience of our members is available to all their colleagues either through the forum or through personal contact. The FSOA also stages two annual conferences and exhibitions when speakers and exhibitors are invited to attend to address the members and display the latest developments in spectator safety, whether its management or the latest safety support systems, services, technology or equipment available to Safety Officers. These developments are all something which could only have been dreamed of when the Association was formed in 1992. The FSOA has certainly come a long way but safety management is far from being a one off concept. It has to be constantly worked at to avoid the risk of complacency creeping in. Our members are at the forefront of every football match day operation when supporters can, should and deserve to expect that every effort will be made to ensure their reasonable care, comfort and safety, The person who has to ensure this, the Safety Officer, carries a tremendous responsibility on his/her shoulders and it is a burden that can take its toll. That is why our Association is committed to supporting members in any way it can and to ensure they have the competencies, status, authority and self belief to effectively discharge the onerous demands of their role. The future will continue to present many challenges to stadium and spectator safety but experience has shown our ability to respond effectively to whatever issues have arisen. Over the years, as safety legislation, safety regulation, safety guidance and safety expectations have continually evolved, so has the need for the FSOA and its members to keep pace with change as it happens. The main problem facing the Association as we strive to keep pace with change and to move forward is the lack of adequate funding to secure not only the future of the Association but our future growth and development. Unless the Association can secure long term funding in the form of major sponsorship or support from the football authorities or other benefactors, then the important work of the Association will be jeopardised. Stadium and spectator safety is a dynamic and on-going discipline and it is the FSOA’s clear intention to remain at the forefront in the development and improvements of this discipline. As the principal organisation representing football safety practitioners in England and Wales, the FSOA is a key partner with the football authorities and sports grounds regulatory bodies in delivering safety, security and service to football fans at every level of the game. Supporters of what Pele described as the ‘beautiful game’ should expect nothing less when they enter a football ground to support of their team and enjoy a game of football.